At his best, Billy Geen was a dazzlingly entertaining three-quarter, with a bewildering side-step. At times, he reminded supporters of some of the greatest exponents of Welsh back play, like Arthur Gould and Rhys Gabe. But he was a player of moods and occasional lapses of form, and his brief period in the game was dogged throughout by injury. 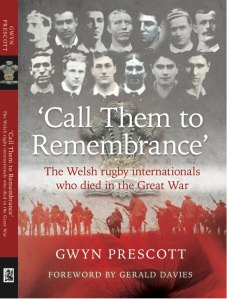 He was never able to fulfil his potential because, like so many of his unlucky generation, his promising rugby career was halted by the war. The nephew of the Welsh international Frank Purdon, Billy was born in Newport on 14 March 1891. He learned the game at Haileybury College and quickly developed a reputation there as a talented all-rounder. In 1910, he went up to Oxford, where he won three Blues (not four as widely reported). In his first season, he was fortunate enough to play on the wing to Ronnie Poulton. Though both were individualists, they developed a close understanding and became a devastating try-scoring partnership. In the tightly contested Varsity Match of 1910, Billy made a dream debut by scoring three tries in the 23-18 defeat of Cambridge. He combined so well with Poulton that he was then rewarded with an English trial, playing for an England XV against the North. Not to be outdone, the Welsh selectors quickly retaliated by picking him for their trial and they subsequently named him as reserve for the fixture with England. Remarkably, he was still only nineteen. After more fine performances for Oxford the following season, it was widely anticipated that he would soon be capped by Wales. However, a serious injury sustained while playing for the Barbarians at Christmas ruled out any chance of international honours in 1911-12. Fully recovered, he again hit top form for Oxford the next year. Billy normally played for Newport in the vacations, although he also turned out for Blackheath and Bridgend now and again. However, there was one special occasion in 1912-13 when Newport called on him during term time as a late replacement against the touring Springboks. This proved to be one of the highlights of Billy’s short career because Newport deservedly won 9-3 that day and his tackling was crucial to the victory. Just four days after appearing on the wing in his third and final Varsity Match in December 1912, Billy played against the South Africans once again, when he at last gained his Welsh cap. Although Wales lost 3-0, he almost saved the day. After sensationally running the length of a muddy Arms Park, Billy chipped over the full-back, only to see the ball slither into touch-in-goal, just before he could get his hand on it to score the equaliser. He won two further caps that season, though bad luck struck again as injury denied him two more. Many believed that he showed greatest potential as a centre, so he was selected there in his third and final international, against Ireland in March 1913. It was a shrewd decision. Billy was a great success and his many breaks and swerving runs inspired Wales to an exhilarating 16-13 victory. After leaving Oxford, Billy was now able to play regularly for Newport, but the final season before the war was a disappointing one for him. He was selected by Wales for their opening match against England, but had to withdraw on medical advice and did not play again in 1913-14. When war broke out, Billy was one of the very first to volunteer. He was commissioned second lieutenant in August 1914 and joined the 9th (Service) Battalion The King’s Royal Rifle Corps. His last game of rugby was in April 1915 when he wore the Barbarians jersey for the fifth time in their defeat of the RAMC at Old Deer Park. Partnering him in the three-quarters that day were the English internationals Edgar Mobbs and Arthur Dingle, who were also fated to die in the war. A month later, Billy was on the Western Front. On 30 July 1915, his Division were in the line around Hooge near Ypres, when the Germans launched a devastating attack. It was here that the first use of liquid fire was inflicted on British troops and, as a consequence, the enemy overwhelmed and captured the front trenches. The 9th King’s Royal Rifle Corps were in reserve at the time and so were rushed up to join in a counter-attack. This was not a success, but Billy’s battalion did manage to recapture some of the lost trenches, although at great cost. In the act of taking their objective, the leading riflemen had come under enfilade fire from Hooge village. So with great gallantry, Second Lieutenant Geen took it on himself to lead a small party to close with the enemy and deal with their machine guns. He was never seen again and has no known grave. 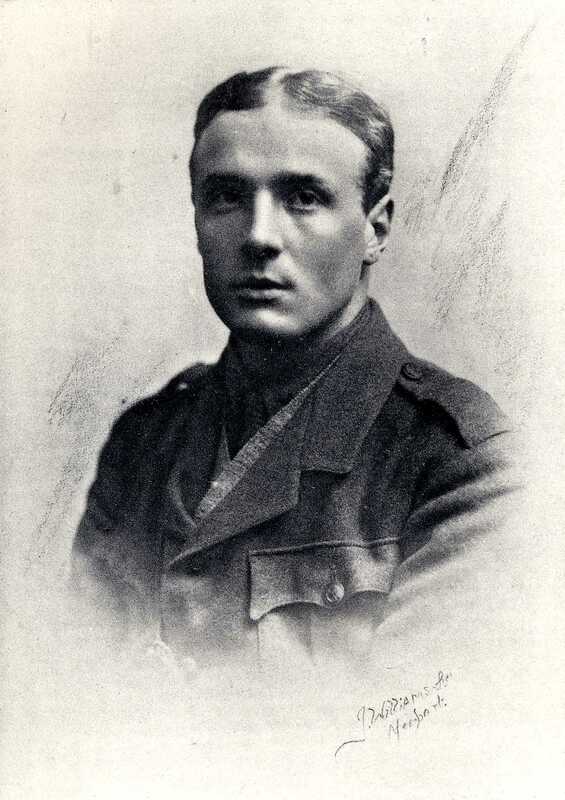 Yet another player whose best years were robbed by the war, the courageous William Purdon Geen is one of seven rugby internationals commemorated on the Ypres (Menin Gate) Memorial to the Missing of the Salient.